Several local amateur radio operators in Otero County have set up System Fusion simplex nodes utilizing the HRI-200 WIRES-X interface from Yaesu. The HRI-200, when coupled to a compatible radio and a broadband Internet connection, provides a way for System Fusion users to connect to “nodes” and “rooms” outside the local area. Nodes and rooms are terminology used by Yaesu to denote individual and group endpoints to which users may connect using the WIRES-X system. For those familiar with Echolink terminology, WIRES-X “nodes” are similar in function to Echolink “-L” nodes and WIRES-X “rooms” are similar to Echolink Conferences, where many users may connect at once. Thanks to implementation by Rick, N7SGT, and Justin, K5WAZ, I have been able to test various advanced features of System Fusion by accessing their HRI-200 enabled Fusion nodes from the FTM-400 radio mounted in my mobile station. The user interface of the FTM-400 makes System Fusion advanced linking a very simple and easy to implement endeavor. Experiments I’ve conducted on air have involved remotely connecting a simplex node to rooms in Arizona, Texas, and even Moscow, Russia. In all three cases, digital audio passed over the connection seamlessly, and stations in Moscow were every bit as clear as local stations I’ve worked using C4FM. In addition to digital audio, Yaesu WIRES-X control software (which runs on a Windows computer connected to the HRI-200 interface) implements a type of digital “message board” which works similarly to an early 1990’s packet BBS system, but allows the upload/download of not only text messages, but also short digital audio messages, and even digital images to nodes and/or rooms in the system. All three types of messages are easily retrieved or uploaded using the FTM-400 WIRES-X interface. Of the three major amateur radio digital systems I’ve used, System Fusion is by far the most user-friendly system of the three. D-STAR gateway configuration can prove a steep learning curve for new users, and that’s assuming the new user is able to successfully navigate the “registration” process to get entered into the official “Trust Server” in the first place. DMR “talkgroup” and “color” configuration is a language unto itself and presents a steep learning curve for DMR adopters. In contrast, System Fusion users will likely find using advanced features of SF systems fairly intuitive and straightforward. Backward compatibility with analog FM is also another unique feature of System Fusion hardware which may help smooth the “digital transition” for SF adopters. Rick, N7SGT, has made his simplex node in Alamogordo available to all amateur operators. The node operates on a frequency of 146.460MHz, is operational daily from approximately 0700-2300 local time, and covers much of the Alamogordo metropolitan area. Please be courteous and drop any initiated links when concluding access of the node. For more information on System Fusion and the capabilities it brings to your radio operations, visit the Yaesu System Fusion customer portal. After a trial implementation with SMRC system remote linking using the AllStarLink network, some additional improvements need to be made to the system to facilitate external connectivity. Due to the legacy configuration of the repeater system and the up/downlink configuration of the experimental AllStarLink node attached to the system, telemetry tones from the James Ridge repeater are passed over the link to Alamo Peak. The net result of this is that telemetry tones for the system are passed over remote links such as AllStarLink and Echolink, which is an undesired practice. Proper repeater system configuration is a system where each individual radio (primary or link radio) emits telemetry without associated tone encoding which prevents the telemetry from being repeated over other radios in the linked system when combined with proper CTCSS settings on other system radios. Correcting this issue may be paired with a more advanced technological solution which enables CTCSS coding to be used to allow C4FM and analog FM users of the repeater system to both enjoy use of the system without causing unwanted end-user radio traffic to users of the opposite modulation scheme/mode. Integrating an advanced repeater controller at each site will allow multiple CTCSS tones to be used on repeater transmit based on the type of modulation used. End-users can then implement a receive CTCSS (available on virtually every modern FM transceiver) to prevent squelch break unless a received transmission is accompanied by the CTCSS tone suitable to the mode being transmitted. This functionality is currently being implemented on the Alamo Peak transmitter in a slightly modified manner. Analog FM users who normally monitor the Alamo Peak repeater may filter out unwanted digital transmissions by setting a receive CTCSS of 151.4 Hz in additional to utilizing the normal transmit CTCSS of 151.4 Hz used to access the repeater. C4FM digital transmissions from Alamo Peak utilize no CTCSS tone, and C4FM receivers do not break squelch on receipt of analog FM signals, so mode isolation is currently possible for both C4FM and analog FM users on the Alamo Peak repeater. Unfortunately, C4FM is currently passed over the system link to both James Ridge and Weed repeaters without the ability to CTCSS segregate those signals. The C4FM is passed through the audio section of the link radios, and as such is not decodable by other C4FM receivers, but is also unable to be filtered using CTCSS tones. As we upgrade the repeaters at James Ridge and Weed to the DR2X multi-mode repeaters, this problem will be corrected and in its final configuration, the system will facilitate co-use by both analog and digital users with minimal interference to each other. A repeater controller which allows mode segregation via CTCSS tone will also allow the use of non-tone encoded telemetry data, which will make the implementation of analog linking services such as AllStarLink and Echolink clean and technically correct. Stay tuned as we work to implement this solution in coming months. Join the Sacramento Mountains Radio Club for our 2019 Spring Foxhunt on Saturday, March 9th, 2019 at 10:00am beginning at the south end of Alameda Park in Alamogordo, NM. A foxhunt is an amateur radio field exercise where a low power radio transmitter is hidden in a geographic area and “hunters” utilize radio direction finding equipment to locate the hidden transmitter. The first “hunter” to locate the transmitter wins the hunt. Foxhunts have traditionally been used by amateur radio operators as a fun way to implement a wide range of amateur radio technical skills including antenna construction, signal strength measurement, and even more advanced direction finding techniques such as time difference of arrival measurement. The SMRC 2019 Spring Foxhunt is open to all licensed amateurs, as well as unlicensed persons wishing to participate. Unlicensed participants will not be allowed to transmit on any frequency requiring a license to do so. The Hunt Master shall act as Hunt Control and will be available to answer questions, or give clarification about the hunt rules prior to the start of the hunt. Hunt boundaries will be anywhere within a 10 mile radius of the start point. The hunt talk-in frequency will be 147.220MHz (PL 151.4/+ offset) – the SMRC Alamo Peak repeater. This frequency may be monitored by hunters before, during, and after the hunt. All communications pertinent to the hunt will be coordinated on this frequency. Unlicensed participants will be given an alternate means (i.e. mobile phone number) to contact the Hunt Master. The primary transmitter signal will be receivable at the starting point determined by the Hunt Master. The primary transmitter will not be activated until the Hunt Master announces the start of the hunt. The primary transmitter will operate on a frequency in the 2 meter amateur band (144-148MHz) which will be announced at the start of the hunt. The hidden transmitter’s power output level will not vary (within the unit’s capability) throughout the hunt. The transmitter(s) do not have to maintain a continuous signal output – they may be cycled on and off. The transmitter antenna may be in any configuration; however the polarization and location will not change during the hunt. Secondary transmitters, if any, will be operational on a separate frequency, which will be disclosed upon finding the primary transmitter. All hidden transmitters will be located within 500 feet of public areas accessible by standard passenger cars with no charge for admission. Reasonable care must be taken to ensure that hunters can safely to any hidden transmitter. The Hunt Master must avoid placing any hidden transmitter near traffic or other safety hazards. Hidden transmitters may not be placed on private property without prior written approval by the property owner. Such approval must release the Sacramento Mountains Radio Club and all its members and guests from any and all liability. The winner of the hunt is the registered person/team who finds the transmitter in the shortest amount of time. The winner also has the option to be the Hunt Master for the next SMRC Foxhunt event. All hunters must register at the hunt start location and the registration fee is $10. If you’ve been hearing more than the average number of DTMF tones on the repeater system lately, it’s likely because an experimental implementation of AllStarLink is now running on the SMRC linked repeater system. AllStarLink is an analog FM linking capability which uses on-air DTMF tones to connect & disconnect from other system nodes via the internet. For those familiar with Echolink, AllStarLink provides similar functionality at a basic level, but allows some significantly more complex configurations when fully integrated. In fact, once the AllstarLink system is fully implemented, the SMRC repeater system will provide both Echolink and AllStarLink connectivity. Users are encouraged to test the system and provide feedback via email to my call at gmail.com. Adjustments to system audio, implementation of location announcements, periodic audio QST’s, Echolink implementation, and a nationwide VOIP autopatch are just a few of the system capabilities currently in work. For a list of nodes to which you can connect, visit the AllStarLink node list and look for node numbers listed in green squares. A filter function at the top of the list allows you to search for specific callsigns, node numbers, and locations. Have fun with AllStarLink, and watch this news feed as we bring more features to the system in the near future! Setup for the event begins at 8:30am on January 26 at the fire station. Radio operations will commence at 12:00pm and run for 24 continuous hours. The Alamogordo club is planning on running 4 separate radios for the event on a wide variety of frequencies and operating modes. There is sure to be an operating activity of interest to all! This event is a great introduction to a broader range of radio operations for new hams or those potentially interesting in learning more about the hobby. For more information on Winter Field Day visit the website. There is still about 24″ of snow on the ground around Alamo Peak, and several additional inches were dropped yesterday afternoon. I was able to crawl my way back to just short of the comm site turnoff. All stranded vehicles on the road have been removed; however, there is still a significant amount of ice under the snow, which made driving an exciting activity. The ice on the snow was thick enough to hold my weight, which actually made the hike easier than I had planned. Once at the equipment shed, I quickly installed the coupling cable from the DR2X repeater to the Radius link radio. The homework I’d done previously finally paid off. A quick comm check with K5WAZ proved the Alamo Peak machine was linked both ways with James. A subsequent check with KG5VIN confirmed the two-way link between Alamo Peak and the Weed repeater. Now that we have a working, standardized DR2X configuration at Alamo Peak, my next efforts will be to construct “install-grade” cables for all three sites, and program a Motorola link radio to replace the TKR-850 at James Ridge. Once I have those two tasks done, replacing the legacy radios at James Ridge and Weed should be a quick task, and will bring C4FM access to the rest of the system. Thanks to K5WAZ, KG5VIN, KF5VLJ, and KG5DAC for their help in getting the system back up and running. As always, if you have any issues with the repeater system, please shoot me a text or email and I’ll see what I can do to work the problem. 73 and see you on the linked system! The Alamogordo Digital Group gathered at Plateau Espresso on Scenic Drive this afternoon to catch up on the latest in digital happenings around the Tularosa Basin and beyond. Larry, WW6USA, brought a report on some complications on the D-STAR network resulting from the release of the Android app Peanut, which allows users to access D-STAR reflectors without the use of a D-STAR radio. Apparently some bad actors on the system have led to some D-STAR reflectors banning users of the app altogether due to issues such as inappropriate language and on-air behavior. Further issues have emerged on D-STAR networks as Peanut traffic is not routed to all network participants, causing broken 2-way communication in some cases. Larry indicated the best way to continue accessing D-STAR networks is via a D-STAR repeater, or a D-STAR hotspot when used with a D-STAR radio. Rick, N7SGT, updated the crowd on his prolific use of a variety of digital voice hot spots. As an experienced digital voice user in all three major systems (D-STAR, DMR, and System Fusion), Rick reports he is spending most of his time these days on Fusion reflectors due to Fusion’s ease of use compared to other digital systems. Rick also reported on a project which allows a direct microphone connection to a Yaesu HRI-200 WIRES-X box, eliminating the need for a Fusion radio to access the WIRES-X network. Bob, W5QCP, reported on utilizing an SDRPlay device to tap both the IF and RF output of his FT DX-3000 radio. Bob reported that when utilizing the IF Out tap on the back of the DX-3000, he was able to observe the 9MHz IF spectrum using SDR software; however, Bob noted when using LSB the tuning and spectrum displays were inverted, causing non-intuitive display of the received spectrum. When he switched over to use the RX Out tap on the DX-3000, Bob noted everything returned to conventional use and the SDRPlay was able to process large swaths of spectrum at a time. Cliff, W7CGA, inquired about the Sacramento Mountains Radio Club placement in ARRL’s 2018 Field Day event; however, no logs for the event were submitted by the club, so the Club’s participation in the event was not reflected in the official ARRL scores list. 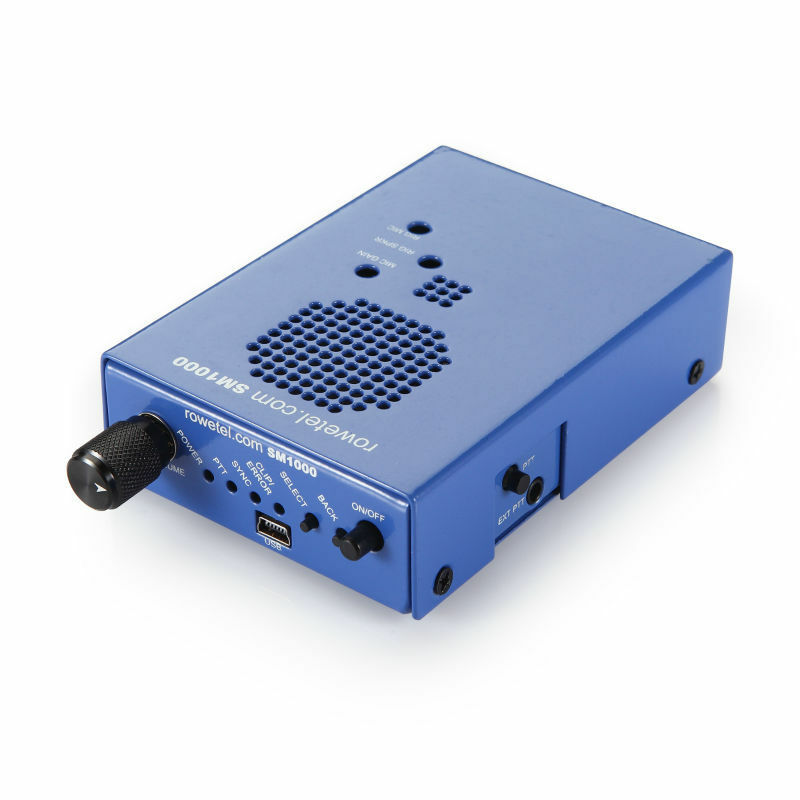 The SM1000 is a hardware solution which allows users to easily operate FreeDV digital voice mode on HF using simple cabling to connect the device to microphone or accessory jacks on virtually any equipped HF radio. Once connected, the SM1000 can function as a standalone speaker-microphone, or provide ports to connect external speakers, microphones, and PTT actuators. While discussing the SM1000, Kurt also provided a brief overview of the various FreeDV digital voice modes, including FreeDV 1600, 700D, and 2200 and some of the amazing work that David Rowe and the volunteers of the FreeDV project have been doing in bringing open-source digital voice to radio amateurs. Overall, the meeting was a great time of fellowship and a great update on what’s going on in the world of digital amateur radio. For more information on the Alamo Digital Group or to be added to the group e-mail list, contact Kurt, KE7KUS, or Rick, N7SGT. 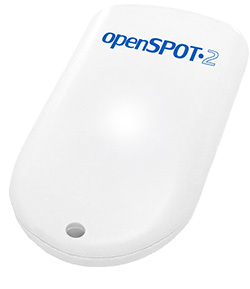 Devices such as these have created the ability for end-users to easily and affordably access digital voice networks with nothing more than a small hand-held radio and the “hot spot” device. Software such as YSFReflector facilitates “meet-up” points where digital voice users can QSO with one other outside the traditional coverage areas of local repeater systems. Reflectors are often organized by geographic area discussion topic, allowing amateur operators to quickly and easily find communities of interest. A current list of YSFReflectors can be found here. After several attempts to get the link back on the air, we are moving closer to success. Extensive experimenting has shown that using a pair of DR2X repeaters for the system/link radios is not a preferred solution due to full-duplex looping issues on the link. As such, we are returning to the classic configuration of a DR2X 2m radio and a Maxtrac link radio. We had success keying this configuration on Saturday; however, we are still attempting to resolve the best way to pass audio between the machines. 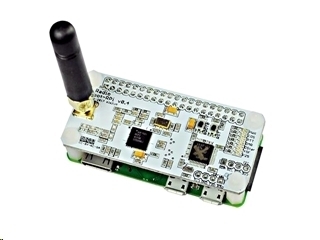 MMDVM-Pi is a multi-mode digital modem which uses a Raspberry Pi computer and a simple $99 Pi-Hat to enable a radio (or repeater) to function as a gateway to DSTAR, DMR, System Fusion, NXDN, and P25 digital voice networks via the PiStar software interface. With an Internet uplink to the Alamo Peak site, the repeater can be used by digital radios on any of the above networks, bringing a tremendous capability to the Alamo Peak repeater. Additionally, initial research indicates that it may be possible to link all three system repeaters to take advantage of the capabilities of this digital modem. Stand by for updates as we investigate the possibility of integrating this modem into the Alamo Peak repeater. 1) Transmissions into the 147.220MHz repeater were re-transmitted on the 440MHz link w/ the proper PL tone. 2) Transmissions into the 147.340MHz repeater were re-transmitted on the 440MHz link w/ the proper PL tone. 3) Transmissions directly into the 440MHz link machine at Alamo are repeated on the 147.220MHz repeater. I was unable to test an end-to-end transmission from Alamo-James or the reverse on 2m due to reception/transmission limits at the site from HT/mobile transmitters, so if anyone is able to verify the link is working, please send me an email detailing the experience. Also, I was unable to test the Weed repeater as part of the link, so any feedback on the whole linked system would also be appreciated. I left the Alamo Peak 2m machine configured as an AMS repeater, so C4FM users should still be able to utilize Alamo; however, a functioning digital link from Alamo to James will be a bit more of a technical challenge…one which I continue to pursue. Once I verify that the link is working again, I will replace the Kenwoods at James Ridge with the other two Yaesu machines, which will bring stand-alone C4FM capability to James in addition to Alamo Peak. Once Alamo and James repeaters are swapped out, the plan is to install a 2.4GHz microwave link from James to Weed and upgrade the Weed repeater to a C4FM machine. With that configuration, we should have a working C4FM link between those two repeaters, as well as traditional analog linking. In parallel, I am working to install an HRI-200 WIRES-X interface at Alamo Peak and downlink to a low-level internet connection. This will bring the Alamo Peak machine a capability to internet link to other YSF nodes/rooms around the globe. In conjunction, I will also establish an SMRC “room” which works in a very similar manner to a packet BBS – it provides a central place for C4FM users to connect to view news/message traffic, pictures, and voice memos which can be uploaded from any user to be viewed by all in the “room”. Thanks to all for your patience as we work to put the system back together. It’s been quite a journey, but we’re slowly making progress.